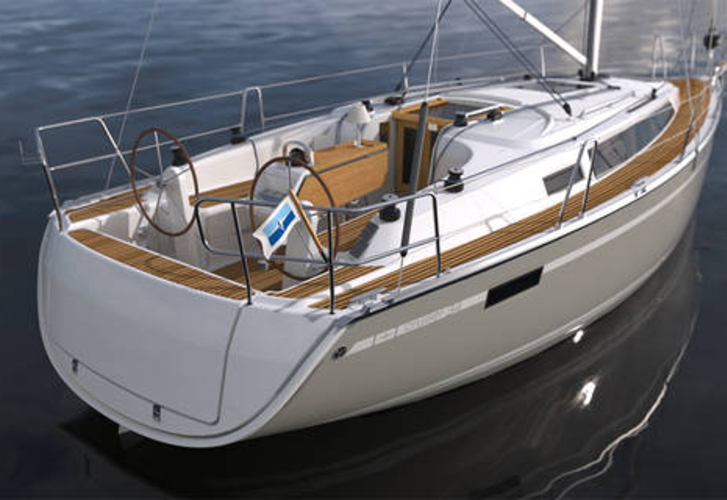 In 2018 was produced boat Bavaria Cruiser 34 named Be Happy. This boat is placed in harbor Murcia just a few kilometers from Andalusia in Spain. You can take in up to 8 pax on the yacht Be Happy. Layout of berths is 8. There are 3 cabins placed under yacht's deck. Be Happy is equipped with 1 heads. You can search our offer by going here: Yacht charter Andalusia. Fuel tank is 150.00 l liters capacious , water tank has up to 200.00 l l. In this yacht is applied motor Volvo 30 HP. With 10.00 meters of lenght overall and 3.50 meters of beam Be Happy offers enough space for comfortable sailing. Bavaria Cruiser 34 Be Happy is equipped with: Outboard engine, Autopilot, Gps plotter, Bed linen, TV, Bimini top. . Nonrefundable caution accounts for 1200.00 EUR. Read about more offers by going to this section: Yacht charter Murcia.